For the average American in World War II, the Victory Garden was a practical way to contribute to the war effort. Some 20 million Victory Gardens were planted (US population in 1940 was 132 million), and by 1943, these little plots produced 40 percent of all vegetables consumed in the US. It’s estimated that 9-10 million tons of vegetables were grown. Wartime needs stretched agricultural production. The United States not only had to feed its own civilian and military population, but many of the Allies relied on America’s bread basket. In addition, U-boats sank hundreds of food-laden ships bound for Britain. While the need expanded, the number of farm workers decreased due to the draft and – ironically – due to the internment of Japanese-Americans. 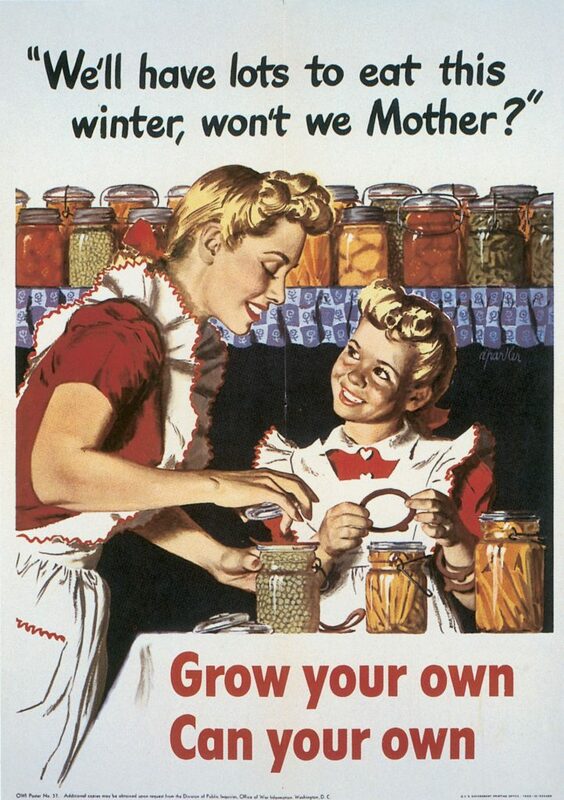 Canned fruits and vegetables were rationed starting March 1, 1943, so civilians were encouraged to grow their own produce to supplement their rations. The use of fewer canned goods would decrease the use of precious tin and reduce the strain on the heavily taxed rail and road systems. In December 1941, shortly after the United States entered World War II, Agriculture Secretary Claude Wickard began promoting Victory Gardens. The Department of Agriculture produced pamphlets to guide urban and suburban gardeners, magazines and newspapers published helpful articles, and patriotic posters urged participation. Neighborhood and community committees were formed with veteran gardeners guiding newcomers. These committees also helped with distribution of surplus food and sharing of equipment. Many garden tools were made of steel, which was in short supply, so sharing between families was encouraged. 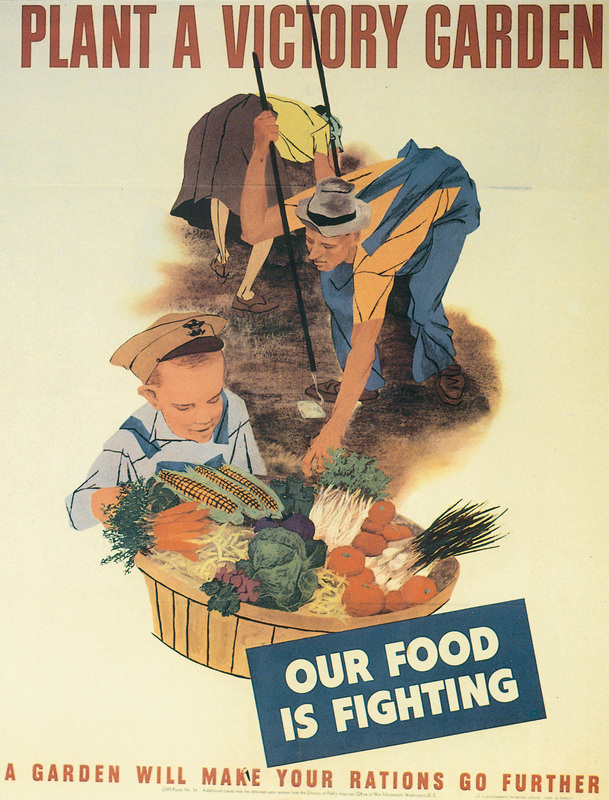 Victory Gardens were promoted as family fun, as good healthy recreation for all ages. Farmers were encouraged to plant gardens for family needs as well as their usual cash crop. Those living in small towns or suburbs were the best candidates for Victory Gardens. Interestingly, the Department of Agriculture discouraged city-dwellers from gardening, afraid of seed being wasted on poor soil and poor lighting. Victory Gardens sprang up on farms, in backyards, and on city rooftops. Even some windowboxes were converted from flowers to vegetables. Communal gardens were planted in parks and vacant lots and baseball fields. Sites for these gardens included San Francisco’s Golden Gate Park, the Portland Zoo in Oregon, and Boston’s Copley Square and Fenway Victory Gardens. The Fenway site is still an active Victory Garden today. War plants often planted gardens on their properties for use in company cafeterias, and schoolyard gardens provided fresh vegetables for school lunches. The average small-town or city-dweller knew little about gardening. Pamphlets provided sample planting schedules and garden plans to show the newcomer how to grow enough to feed his family for a year without wasting seed or food. These pamphlets described how to choose the garden site, prepare the soil, fertilize, plant properly, weed, and harvest. The Department of Agriculture and the War Production Board prepared a special Victory Garden fertilizer for home use. The ideal Victory Garden produced fresh vegetables in season and plenty to be preserved for winter. Women’s magazines published articles about how to can, store, dry, pickle, and freeze the bounty. People were encouraged to share their surplus with others in their neighborhoods. 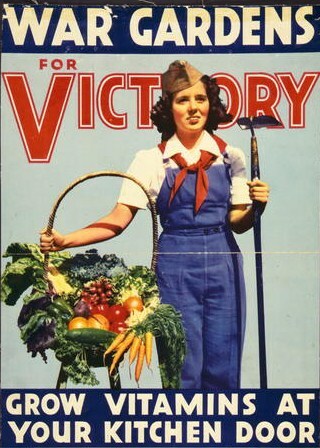 Victory Gardens in World War II were more than a way to increase morale. They produced a significant amount of healthy food, allowing agricultural produce to be used for the military and the Allies, and reducing the use of tin and transportation. Despite rationing, the average American ate better during the war than before. The Victory Garden was part of the reason. Lingeman, Richard R. Don’t You Know There’s a War on? The American Home Front 1941-1945. New York: G.P. Putnam’s Sons, 1970. Do you grow any of your own food? Would you like to? I love gardening and one of the best things about it is sharing and trading with neighbors. I admire the attitude of the war efforts during this time and wish that our country today could adopt more of that DIY, work together mentality and to see the people rally for a noble cause and to be satisfied with less in this more, more, more day and age. I’d love to grow some of my own food…sadly, we live in a condo, so it’s complicated – also, the climate here is difficult. One of these days though…we’re hoping to move somewhere a bit warmer in the next few years! I also love the spirit of that generation. Where we live, Carroll County Maryland, our community is ‘the’ farming community of our state. Probably more so during ww2 to about twenty ago. We are said to be the first to can corn in the world. 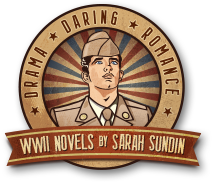 (I have yet to confirm that) Shriver Canning in the city of Westminster canned foods and sent them to the troops overseas. Many women worked in the canning factories to help with the war effort. In addition to that, our community was able to grow a great percentage of the produce that was sent overseas. Since our county was already a large farming community, the people of the towns did grow victory gardens. As a result, canning was something that has been handed down from generation to generation. We still can our produce. Sorry this was so long. 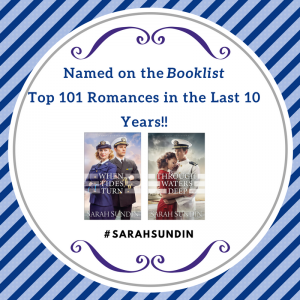 Sarah, I love the posters you added to your posts! 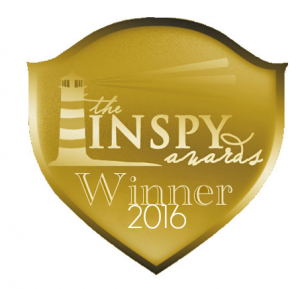 Rachel – how interesting! I love your long answer :)I live in an agricultural-converting-to-suburban area, and people are pretty proud of their farming heritage too. And I love the posters too 🙂 They’re all public domain so feel free to download. The posters are darling! I tried a wee garden once. The basil acquired fungus, the rabbits ate the tomatoes before they were ripe, the cauliflower never stood a chance. We DID manage some green peppers, and those were good. Add to your list: In Nashville, the Hermitage staff (President Andrew Jackson’s estate) planted a 30-acre Victory garden, and swanky Percy Warner Park had a 100-acre one! Many cities planted gardens on medians! My husband is our family gardener – I have a black thumb. Interesting about the Hermitage – Victory Gardens were everywhere! Recently toured the Hermitage, and they are super duper proud of it. After some renovations under the WPA, it became, and still is, a highly-visited site. Percy Warner Park is still where all the Nashville swells view the horse races.